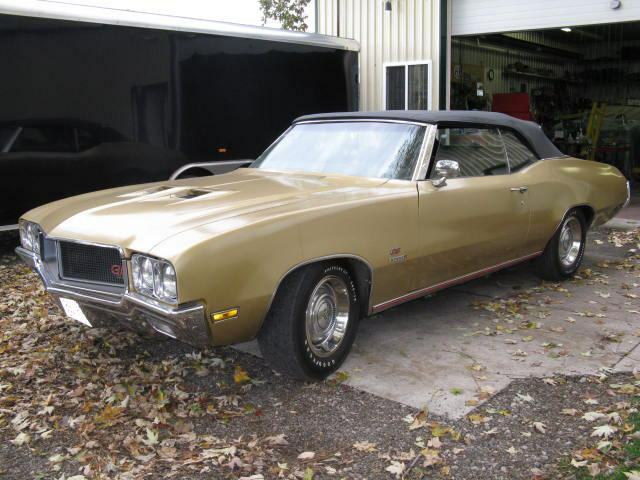 1970 Buick GS Stage 1 Convertible - Future Projects Vehicles - Pure Stock Auto Restoration Inc. 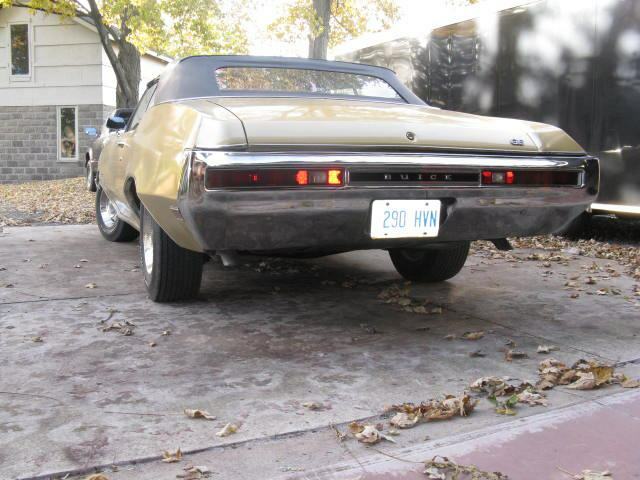 Fully Documented GM of Canada and Wayne Robert's GS Historic Society 1970 Buick GS Stage 1 convertible. 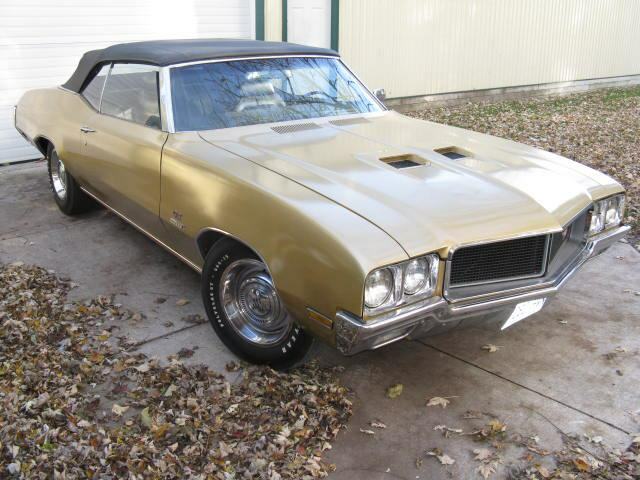 One of only 232 70 GS Stage 1 convertibles built in 1970 one of 165 with Automatic Transmission. 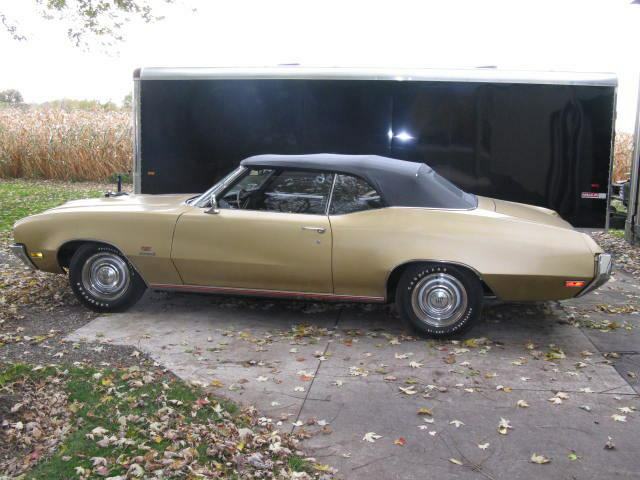 Originally ordered by A GM executive and delivered to GM's Montreal Quebec Zone Office. 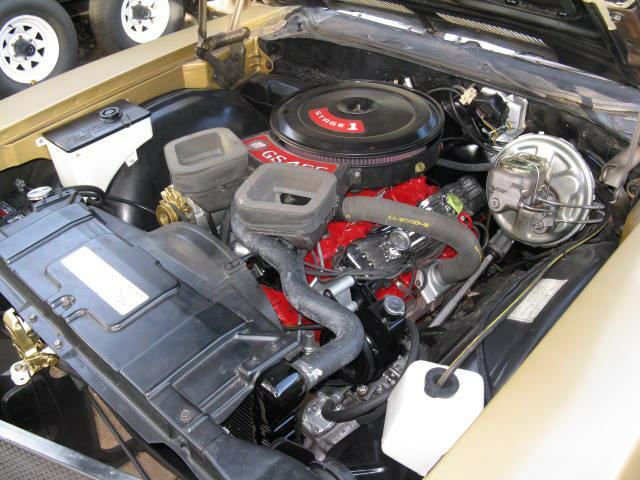 Stage 1 455, BB Code Stage 1 Turbo 400 Automatic Transmission ,3:64 Positive Traction Rear Axle. Cornet Gold with Black Top and Black Interior Buckets Console.Power Steering. Power Disc Brakes, Am Radio, Rally Gauge Cluster, Rally Steering Wheel, Power Windows, Power Top, F41 Rally Suspension (boxed rear lower control arms with rear sway bar). 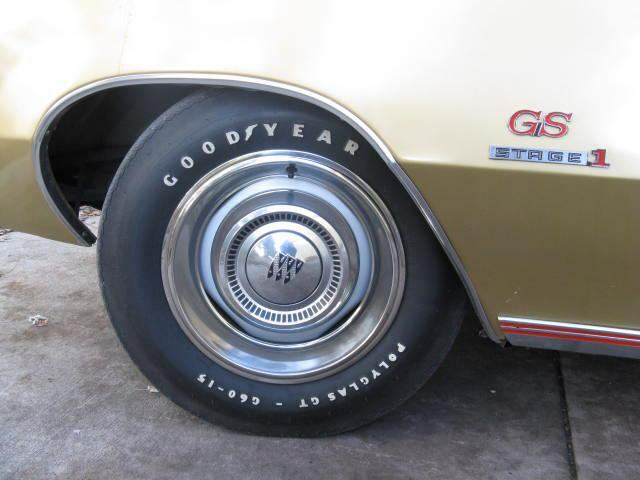 Rare, WD1 Wheel and Tire option (15x7 Plain Steel Wheel coupled with Trim ring ,Dogdish hub cap and G60-15 GT RWL Goodyear Polyglas Billboard Tires). This GS Stage 1 participated at 2009 Pure Stock Muscle Car Drag Race in Stanton Michigan and ran a Best of 12.71 @109.15 mph 1.96 60 foot in Pure Stock Original configuration with of course stock, original to this car, G60-15 RWL Goodyear Polygals tires.